Origin of disease – An acupuncturist recognizes the importance of treating the root cause of disease rather than treating or masking the symptoms of the imbalance. Holistic – An acupuncturist looks at the whole body and how it works together to heal and balances all systems. Self-healing bodies– Our bodies are capable of healing themselves. Acupuncturists support the body’s own healing process. Lifestyle – A healthy lifestyle is promoted because the activities we do every day are the keys to long lasting health. Education – An acupuncturist will educate their patient so they can take their health into their own hands and truly be responsible for their own well being. Here is a more thorough look into each of the strategies. Each of our bodies are perfectly crafted to be beautifully functioning and miraculously self-healing. Every cell and system within our bodies, from the tiny glia to the structural spinal cord, work in cohesion with one another to achieve perfect health and homeostasis. Acupuncture is a practice that supports and strengthens the well-being of our own bodily systems. In order to restore health, acupuncture first recognizes the cause of a disease or what is contributing to an imbalance within the body. By understanding the origin of the illness, a specific acupuncture treatment is implemented to target the cause. Rather than merely suppressing the symptoms of the disease, treating the cause allows acupuncture to heal the root of the problem and bring the patient back into a healthy state. Along with treating the root cause of the disease, Acupuncture heals the person as a whole. Elements of Chinese medicine work in conjunction to restore the health of an individual on a physical, emotional, psychological, and spiritual level. By focusing on treating the patient in a holistic manner, all dimensions of the body are healed and in balance. When treating the body, an acupuncturist understands and respects that each and every one of our bodies is naturally self-healing. Holistic healing modalities support the body’s own self-healing mechanisms. This ensures that acupuncture is strengthening and wholesome for all our own body systems. Since this self-healing process is present in the body, it is constantly functioning to prevent diseases from occurring. Although our bodies are continuously combating disease, a person’s actions can lead the body toward complete health or damaging diseases. Chinese medicine emphasizes leading a healthy lifestyle to prevent illness from occurring in the first place. Preventing disease with plant-based foods, exercise, sleep, and a focus on our spiritual and emotional well-being will create a body of health. The field of acupuncture understands that prevention is the best form of remedy because it enables the body to be healthy and fully functional indefinitely. Not only do acupuncturists heal their patients using natural healing modalities that aid the body’s self-healing mechanisms, they also focus on educating their patients. By having a role as a teacher, acupuncturists are able to instruct patients on how to lead lifestyles that ultimately and ideally prevent diseases from occurring. Along with preventing disease, acupuncturists teach patients how to restore health within themselves and their families when diseases do arise using various healing modalities. Mother Nature has provided us with whole foods, plants, herbs, sunshine, and much more to ensure health for all. Acupuncturists teach their patients how to use the resources the earth provides to prevent and restore health. Natural medicines truly help individuals become and stay well and create a lifestyle that will provide them with optimum health to thrive. Mackenzie Kremer (kenzie) is a student at midwest college of oriental medicine, where she studies acupuncture and herbal medicine. Kenzie is passionate about chinese medicine and helping others find their path to wellness. 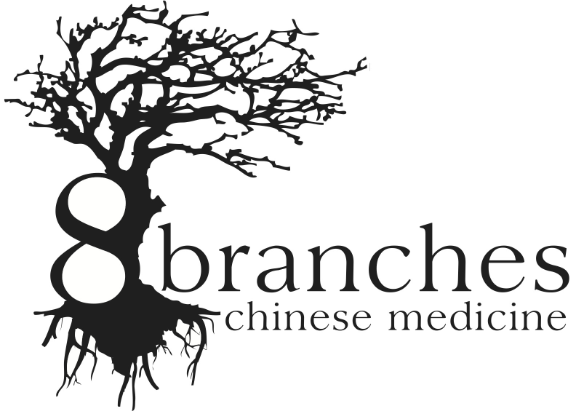 She fulfills her clinic internship hours on friday afternoons at 8 branches chinese medicine in milwaukee.